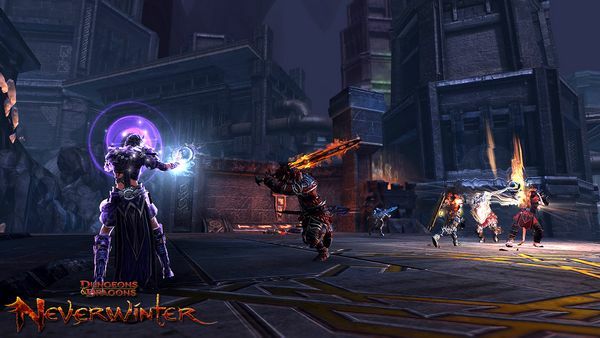 We looked at the beta of Neverwinter in perhaps too much detail upon its release back at the end of April; since then the game has had regular patches and adjustments, leaving Cryptic Studios and Perfect World Entertainment feeling confident to name June 20th as the date the game will leave beta and enter full release. While the game’s level cap will remain the same as that in beta – 60 – new content will be available for players to explore, with the city of Gauntlgrym added to give end game content. This area will have 40 players split into two opposing teams, competing in three different phases, fighting monsters in some and competing in a 20 vs 20 battle in another. Whether this will involve teams queuing for significant periods (as happened with some of the dungeons and PvP during beta – forming teams could take several minutes) will need to be seen. The game’s first expansion will come the same day, titled Fury of the Feywild, and promised to be adding content in modules to recreate adventures with the pen-and-paper version [note: linked page is currently just a teaser on Neverwinter's website; at the time of writing there is merely the promise of more content closer to the time]. This new story may face stiff competition from the players, of course – as enthused about in the first impressions article, the Foundry allowing players to create their own adventures has opened the door to some very imaginative individuals… including some who’ve added extra content that challenges (or, dare I say it, exceeds) the quality of the general design and storytelling in the main game. We shall see what has been modified, expanded or balanced when the game is updated. If you cannot wait for the officially finished free-to-play release, the beta is of course accessible now.